It is often hard to objectively know when to give up. For example, what would you tell my friend below? Recently a friend wanted my candid advice on whether to continue struggling with his startup. His idea was to combine Apple AirDrop’s file sharing functionality with Facebook’s social networking functionality to create a social file sharing service. It all started as a side project to scratch his own itch. He had never thought much about business side of things. But on a whim, he decided to apply to a local startup accelerator. To his surprise, he got in! What was once just a hobby turned into a full time job. With the validation of getting into the accelerator, he decided to quit his paying day job and make his way into startup land. His first impression was thrill and terror. He thought: “wow, now I have a lot more time to build something great.” With the spotlight of the accelerator, he was mentioned in a few major publications like LifeHacker and GigaOm. He was even put on a top 10 list of startups to watch in 2014. With all this attention, his user base grew quickly to over 6,000 users. But the accelerator finished and the spotlight moved away. User growth stalled, and after looking at his metrics more closely, he noticed that almost none of the users ever came back after signing up. He had been working on the idea with no pay for nearly a year. Though he tried to raise a small round of funding (mainly to pay himself enough to keep the lights on), the deal fell apart at the last minute. He hasn’t found interest from any other investors. He was running out of emergency savings and running out of options. My friend had asked a few other people for advice before he came to me. But he was very confused because the advice he received was conflicting and anecdotal. Even with all this advice, he was confused. It all felt conflicting and he couldn’t figure out what to do. When you think of startups like other crafts, like building chairs, it gives you a different perspective on things. It gives you a framework for action. Each one of the pieces of advice my friend was given individually and out of context was good general advice on its own. But my friend wasn’t given a framework for synthesizing action from the advice. Would you expect a novice chair builder to make a beautiful solid chair on his first try? Certainly not. A failed company is not a mark of a terrible founder. Failure is necessary on the path of entrepreneurship. It is how you learn. So should he give up? 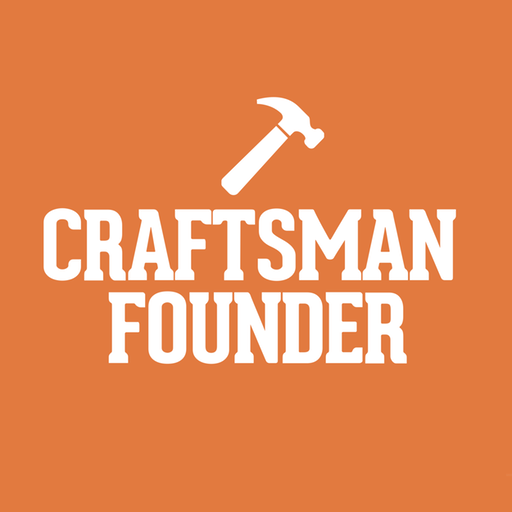 Does a novice chair craftsman give up trying after screwing up his first chair? Sometimes. But only if he finds out that he actually hates building chairs. After screwing up a chair is there something else you can make out of it? A stool perhaps? A ladder? When you are learning to build chairs, it is going to take a long while before you build a perfect one. But you are likely to find yourself with a great stool earlier on. Can you re-focus your efforts and find someone who needs to buy a stool instead? So should he pivot? Sometimes. But only if he finds a new way to sell what he already has. Try a new audience, a new target customer. He could keep carving away at that screwed up chair until it works. He could be determined and relentless, but it will cost him. He will have to make a lot of sacrifices to make that chair work. So should he keep at it? Sometimes. But only if he absolutely can’t ever imagine living without fixing that one chair. Finally, it is almost always easier to build a new chair than to fix a broken one. If you think you have something great and have tried a few different markets already, it is usually time to start your next chair. Reclaim every asset you can for your next startup. If you like the team, keep it together. If you like some of the technology, don’t just trash it. Never throw away a broken chair out of frustration. If you ask 10 experienced entrepreneurs for advice, you are likely to get 10 different and conflicting pieces of advice. All of it will be good advice on its own, but your job is to figure out how to synthesize action from all the noise. When you finally “get it right” whether in startups or in chair building, you know without a shadow of a doubt. There is not a single bone in your body that doesn’t ring with affirmation that you are finally on to something big. If you haven’t experienced that feeling of “getting it right” yet, don’t worry. It takes time. Be patient with yourself. You are on a journey, it is a marathon, not a sprint. Hone your skills. Learn as much as you can along the way. Luck is what happens when preparation meets opportunity. Failures are the best opportunities to prepare for success.